Blindly reaching for that light switch on the wall as you stumble into your bathroom late at night is so 2016. Make your evening trips to the toilet a bit easier and captivate your guests with the IllumiBowl 2.0. It's only $12.99. The IllumiBowl 2.0 is as stylish as it is practical. 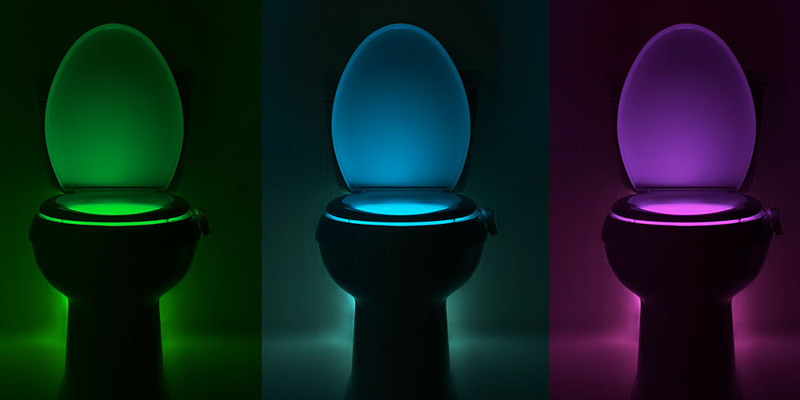 Available in any color you choose, this LED light quickly and easily snaps onto the rim of your toilet, providing you with an entertaining and clear line of sight when nature calls. It turns on and off automatically via motion sensors, and includes a 3-stage dimmer. And if you're lucky enough to be potty training your child, we think the IllumiBowl 2.0 might make your life a little easier, too. Don't settle for a boring bathroom. Bring some light into the mix with the IllumiBowl 2.0 for just $12.99.